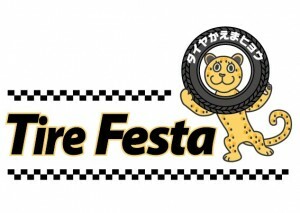 Tire Festa is a tire replacement specialist shop. 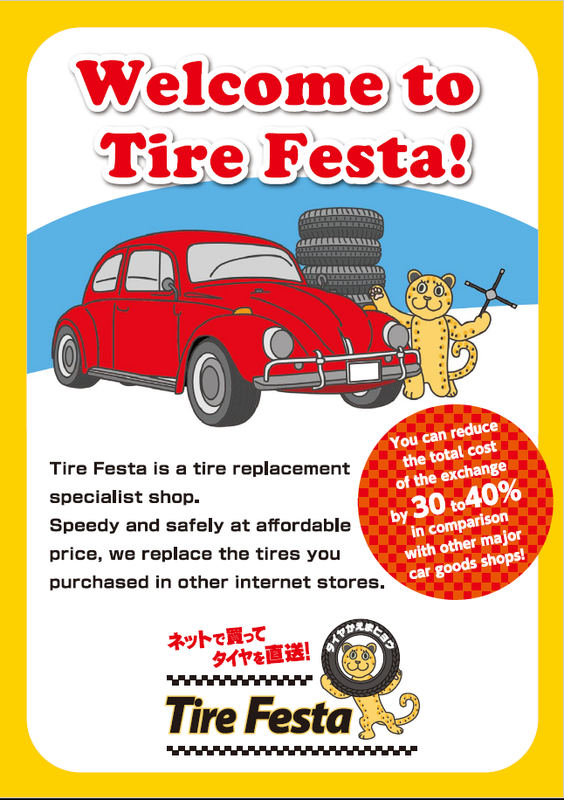 Speedy and safely at affordable price, we replace the tires you purchased in other internet stores. 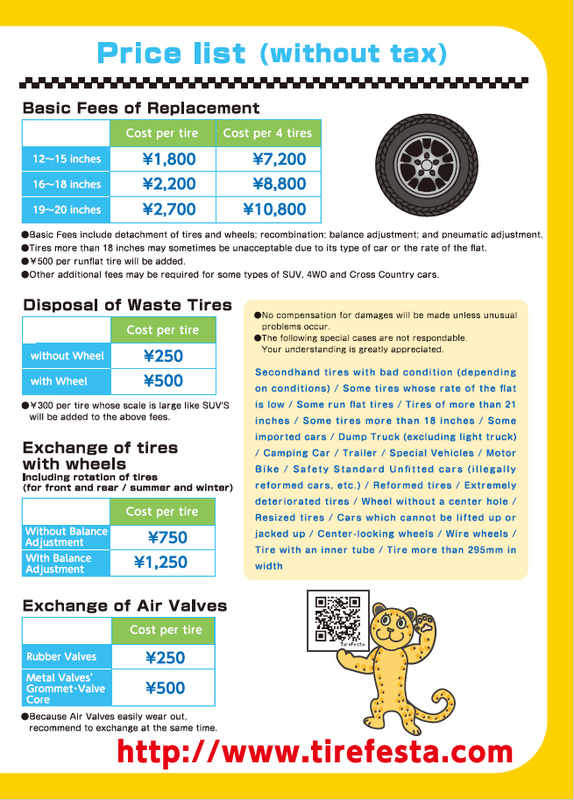 You can reduce the total cost of the exchange by 30 to 40% in comparison with other major car goods shops! 1. 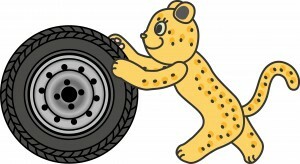 Purchase favorite tires on-line. 2. 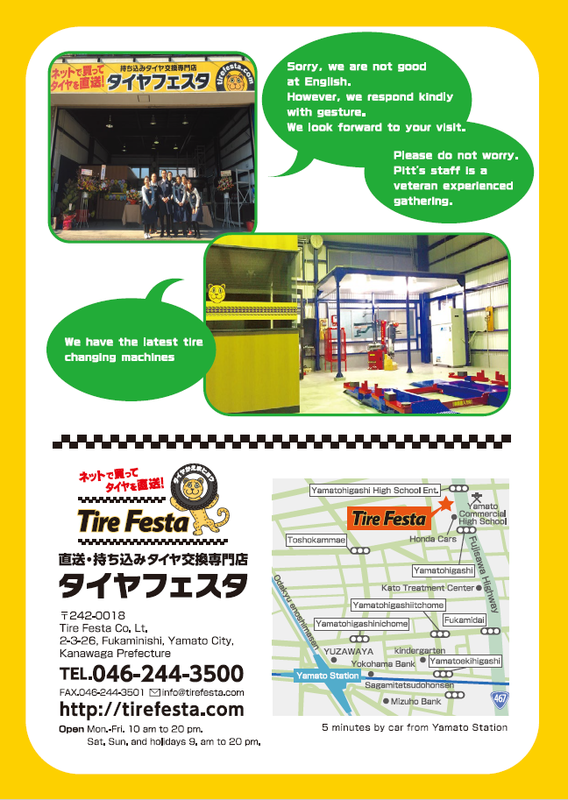 You can send the purchased tire to our shop. 3. Appoint the date for the replacement at the reservation page of our web-site. 4. You will receive a confirmation email from us. 5. Come to our shop 10 minutes before the appointed time. In case of delay, please contact us as early as possible. Because, your appointment might become invalid in order not to disturb other customers. 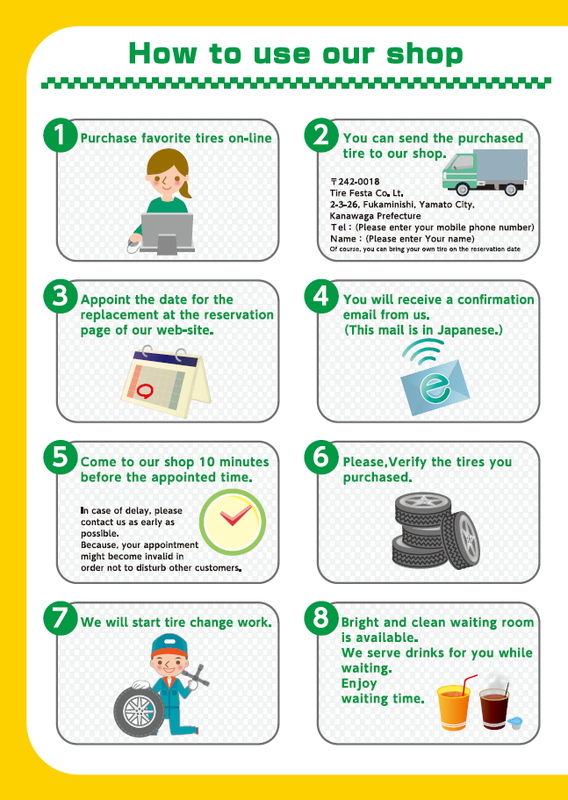 6.Please,Verify the tires you purchased. 7. We will start tire change work. 8. Bright and clean waiting room is available. We serve drinks for you while waiting. *No compensation for damages will be made unless unusual problems occur. *The following special cases are not respondable. Your understanding is greatly appreciated. Sorry, we are not good at English. However, we respond kindly with gesture . Pitt’s staff is a veteran experienced gathering. 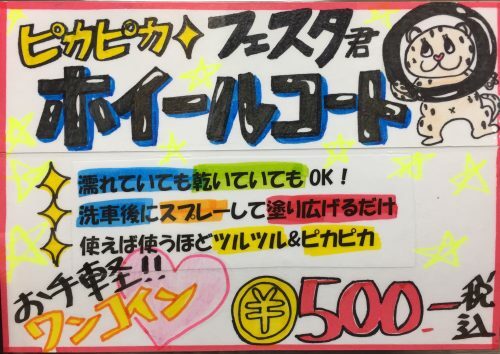 Open Mon.-Fri. 10 am to 20 pm. Sat. Sun. and holidays 9. am to 20 pm.